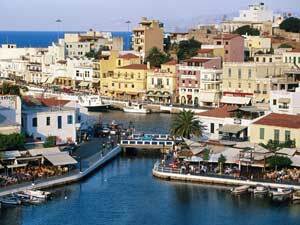 Savvas Savvaidis, head of Savvaidis & Associates offers an update on the property market in Rhodes, Greece. How are sales figures for 2012 so far? House sales to date in comparison to the same period last year are up 20%. It is a very pleasant and surprising development and proof of the strength and resilience of the property market in Rhodes. Furthermore, it is has been the result of extensive marketing of our client’s properties in various platforms and media as well as a carefully planned portfolio of properties for sale. What impact has the situation in Greece had on buyer’s confidence? There has been an increase in interest throughout the year; we have seen a large number of people interested in buying a property in Rhodes who have been on ‘standby’ mode for a few years now. They come from all the over the world. Many of them feel that they will not wait for a crisis to end to make their long awaited dream come true. After all a property purchase is a long term investment and prices are now very appealing. What has the impact been on prices in Rhodes? Prices have dropped on a cumulative average of 20% over the past 2 years. There have been a few areas, mainly prime location seafront or sea view, that have held much better than others ie more inland. How much can you negotiate during this period? It is the best buyer’s market in decades. At Savvaidis & Associates our data show that the differentiation between requested price and actual sales price is now between 5% - 15%, in some cases it has been as high as 20%. Developers are quick to adjust their prices in line with market trends, whilst private sellers sometimes have more margins. Where do you expect the prices to go in the coming months ? Prices are already reaching their bottom levels. As Rhodes is one of the most beautiful places in the region, attracting millions of tourists over the years (actually tourism numbers are on a steady rise despite the Greek crisis), more and more people getting to know the island will want, at some point in the future, to own their piece of paradise in the South. The easy accessibility of the island, its modern infrastructure, its diverse scenery, its rich history and culture, as well as its welcoming and hospitable people make it an ideal location to own a home. No matter the market condition or the country’s economy the attraction and the charm will always be here! What other trends is your company experiencing? Buyers are more savvy, sophisticated and cautious these days. They are extremely conscious of their decision making process and move quickly when they see the right property. They expect to get real value for money as well as quality building. Often, international buyers are pleasantly surprised by the high standards of construction found in Rhodes. Where are your customers buying? Mostly close to the sea especially on the East side of the island. The romantic ones tend to explore the west side as well as the Medieval City or remote villages. At Savvaidis & Associates we are continously exploring all parts of Rhodes island ; a lot of times we discover real treasures away from the popular locations. This is actually the best part of our job !